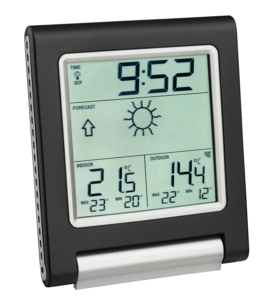 Measure wind and the weather yourself, that is possible with the "SPRING BREEZE". 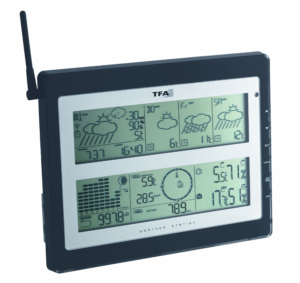 The wireless weather station has a combined thermo-hygro transmitter for monitoring the outdoor temperature and humidity and a wind meter to determine the wind force at the installation site. The data is sent to the base station and shown on the display. Just a glance at the "SPRING BREEZE" colourfully lit display and you can get a comprehensive picture of the current weather condition. At the center is the animated graphic for the wind force. According to the wind speed, the small wind turbine rotates and the coloured bars flash. Historical data can be traced back over a period of one year. 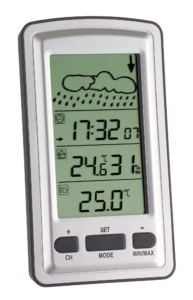 Sun, clouds or raindrops – an integrated electronic barometer measures the air pressure and based on the changes the weather symbol gives a forecast for the upcoming weather. 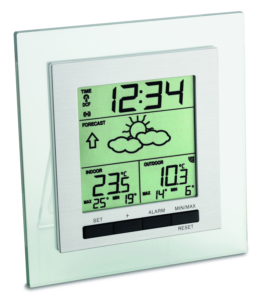 You also have the room temperature and humidity in view and can control the room climate with targeted heating and ventilation. 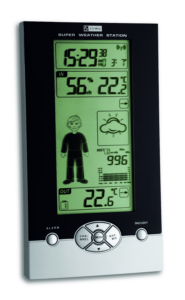 The weather station offers many additional features and information. You can set alarm limits, see higheste and lowest values, calculate the dew point and wind chill temperatures. 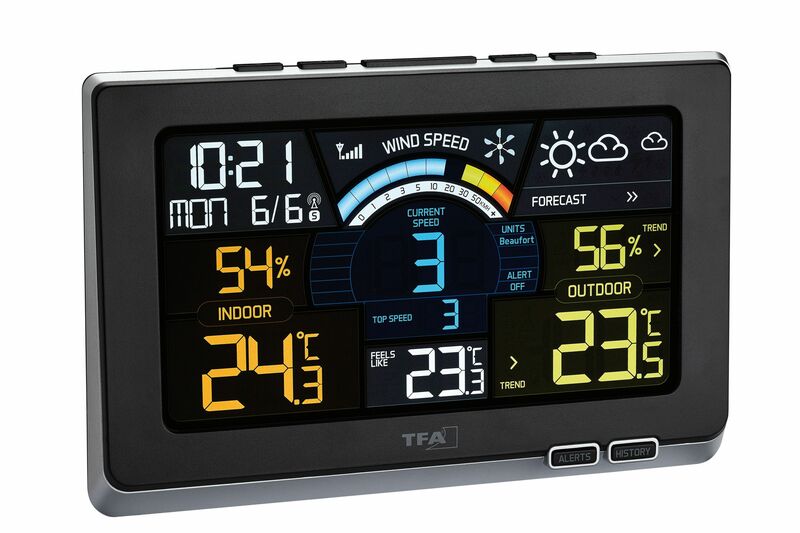 The current time and date are received via the DCF-77 radio signal. The colour display has two brightness levels. 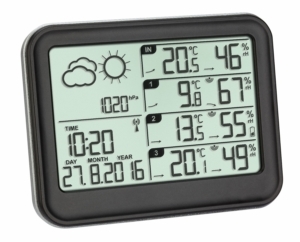 Connect the weather station to the power supply if you would like the display permanently lit. Two further transmitters can be connected for temperature and humidity control, e.g. in the nursery, bedroom, cellar or garage.